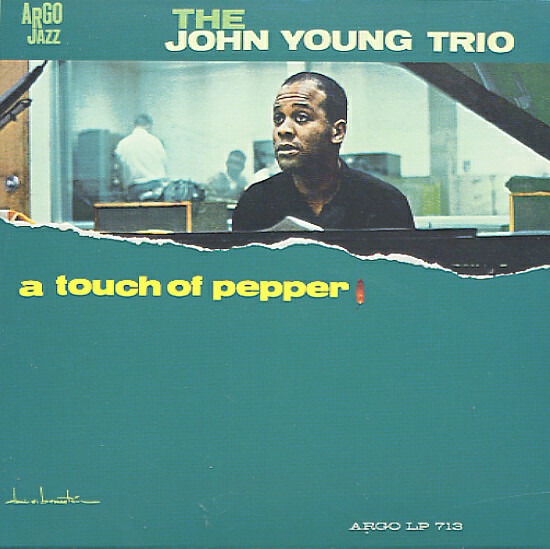 One of the few sides ever recorded as a leader by Chicago soul jazz pianist John Young – a tasty trio set with just the right touch of pepper! The tracks are short and lively, very much in the mode of other Chicago trio players – like John Wright or Ramsey Lewis – and most of the tunes have a nicely rolling groove, thanks to great backing from from Sam Kidd on bass and Phil Thomas on drums – both of whom echo strongly the great Chicago groove going on at the time. The album also features a strong mixture of originals and upbeat standards – with titles that include "Joey", "In Other Words", "Blues Oreenee", "The Bridge", "Serenata", and "Search Me". © 1996-2019, Dusty Groove, Inc.